The latest issue of Famitsu magazine has some details of the upcoming Final Fantasy XIII demo inside of it, unfortunately my ability to read Japanese is currently sitting at a stable zero. Luckily though 1UP has come to the rescue and has decoded the more important details for us. First up is that the upcoming demo, the one that is going to be bundled withÂ Final Fantasy VII Advent Children Complete, is going to be an entire hour in length and will be broken into two parts. First up you will play as rebel leader Snow and in the second half you get to take control of Lightning and the new oddity that is Sazh Katzroy. 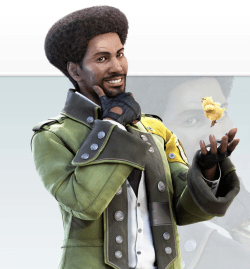 Apparently Sazh has been a hit with the fans and they are now looking at including his afro living buddy, chocobo, in more of the game… You can’t make this stuff up. Previous article God of War III – 1080p, no loadtimes and perfect framerate?